Dr. Kristina Pao,was born and raised in the suburbs of Philadelphia, Pennsylvania. She received her Bachelors of Science in engineering from Swarthmore College in 2004 and her medical degree from Jefferson Medical College in 2008. Dr. Pao then completed her Internship at Santa Clara Valley Medical Center in San Jose, California and her Residency in Ophthalmology at the prestigious Wills Eye Institute in Philadelphia. She went on to complete her fellowship in Oculoplastics, Orbit and Reconstructive Surgery at UT Southwestern Medical Center in Dallas, Texas. Dr. Pao has authored numerous journal and textbook publications. She is proud to be a contributing author to the Wills Eye Manual, the most commonly-used ophthalmology reference text in the world. In 2014, Dr. Pao joined Medical Eye Associates as a comprehensive ophthalmologist, specializing in Oculoplastics, Orbit and Reconstructive surgery. Dr. Kristina Pao joined The Eye Centers January 2018. Dr. Pao performs facial rejuvenation procedures including upper and lower eyelid blepharopasty (eyelid lift/contouring), brow/forehead lifts, Botox injections, soft tissue fillers (e.g. Restylane), and chemical peels with meticulous attention to detail. She is also skilled in reconstructive oculoplastics including ptosis repair, excision and reconstruction of eyelid skin cancer, eye socket reconstruction, management of facial nerve paralysis (Bell’s palsy), blocked tear duct repair (dacryocystorhinostomy), ectropion and entropion repair, management of thyroid eye disease, enucleation and evisceration surgery, and the repair of orbital, eyelid, and tear duct trauma. Dr. Pao also specializes in small-incision, no-stitch cataract surgery, offering the latest in premium intraocular lens technology. 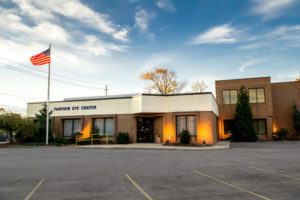 She provides comprehensive eye care for the entire family, including routine eye exams for glasses or contacts, diabetic eye exams, management of glaucoma, macular degeneration, dry eyes and many other eye conditions. 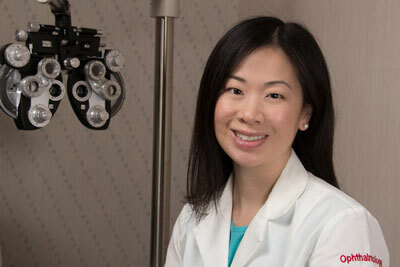 Dr. Pao is board certified by the American Board of Ophthalmology and is a member of many medical organizations including the American Academy of Ophthalmology, American Society of Cataracts and Refractive Surgery, Chinese American Ophthalmology Society, Ohio Ophthalmological Society and Cleveland Ophthalmological Society. She currently has hospital privileges at Parma Community Hospital and operates at the Cleveland Eye and Laser Surgery Center.